Book lovers everywhere understand the joy of a personal home library. Much of the excitement lies in the knowledge gracing the pages. But design also plays a role. 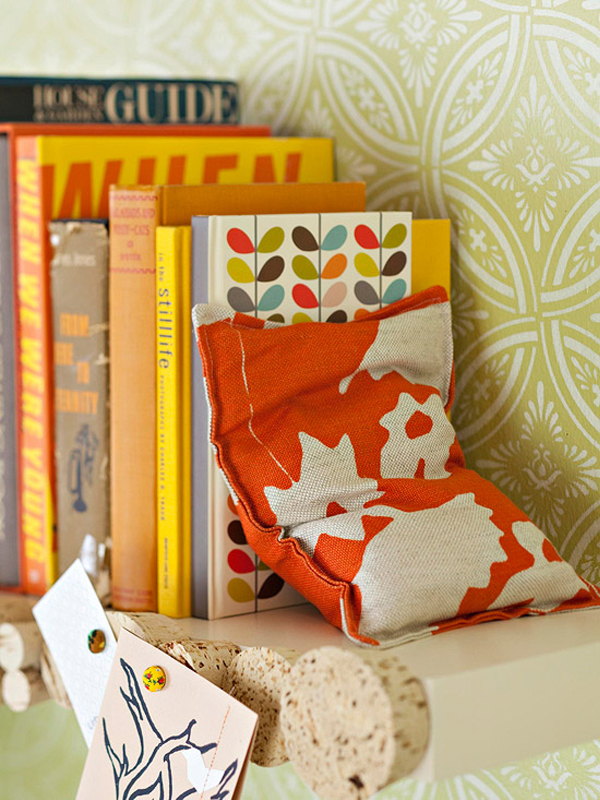 There are plenty of ways to store your books in style. 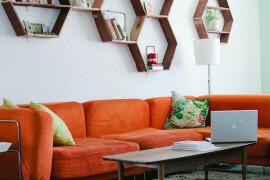 Bookcases are a standard in any home- so why not change it up a bit? 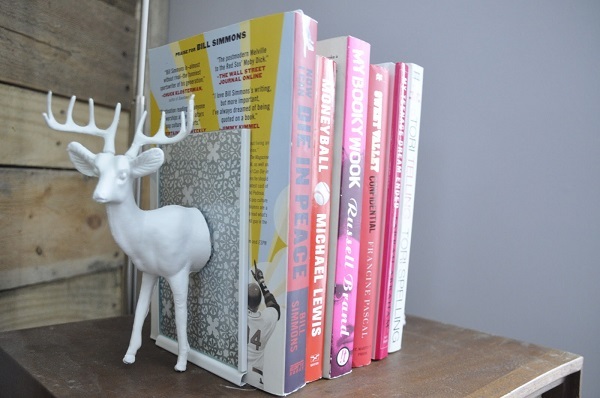 Display your favorite guides and novels with one of these chic sets of bookends. Feeling a little wild? 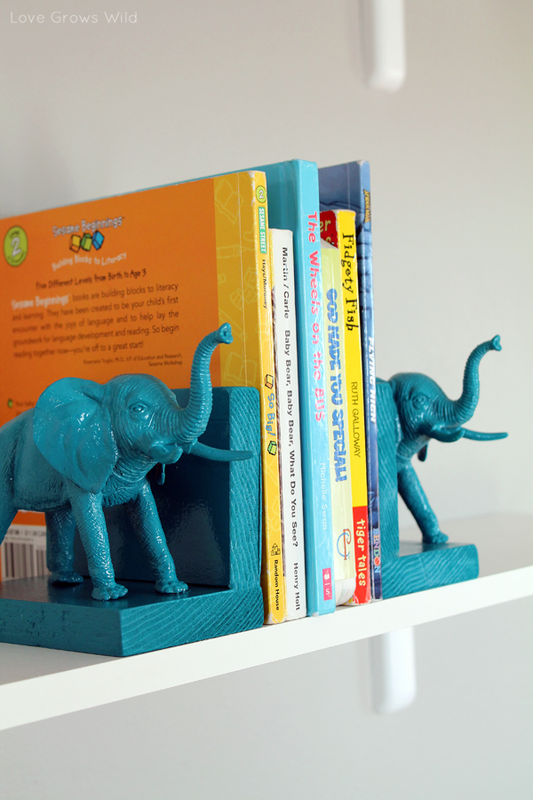 Animal inspired bookends can be found in any trendy furniture store today. Stand out with a customized, DIY set. 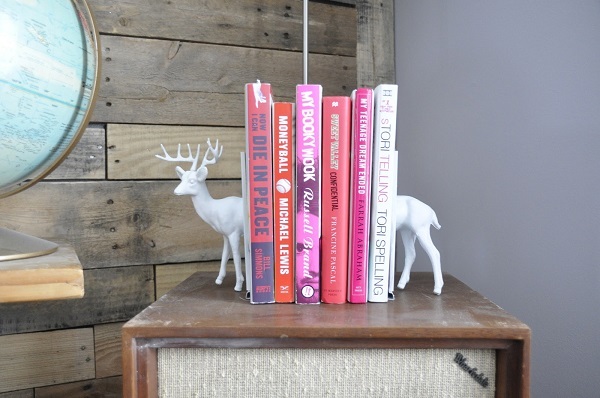 These deer-shaped bookends by Aly of Artisan des Arts are a modern twist on lodge style decor. No deer head mount required. 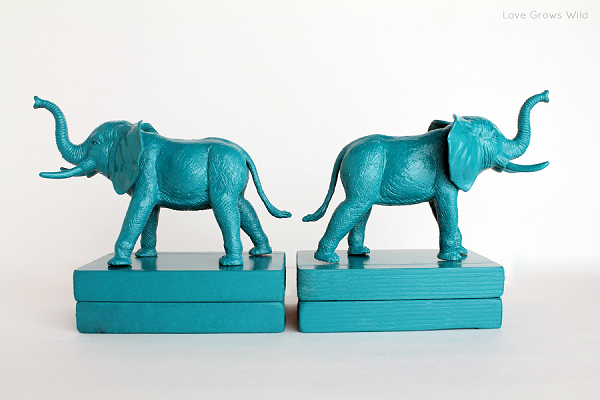 Capture the majestic wonder of elephants with these turquoise beauties by Liz of Love Grows Wild. 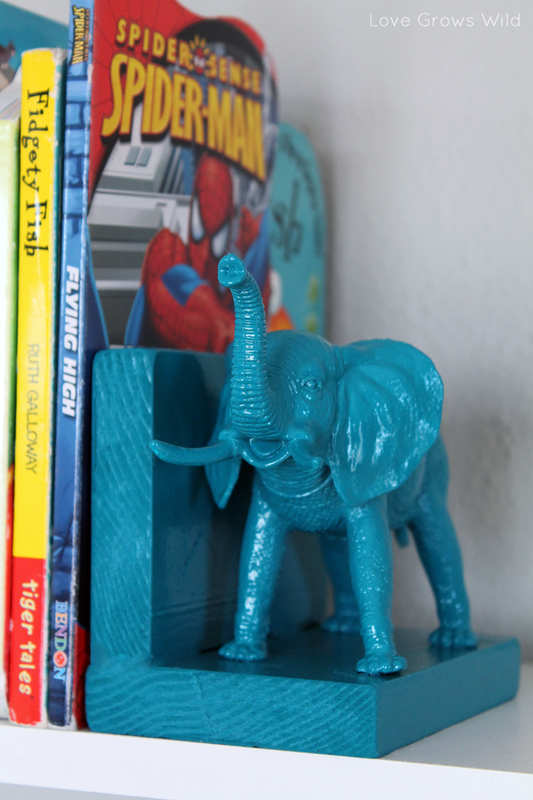 The fun color and lifelike details make these little statues fit for a museum. 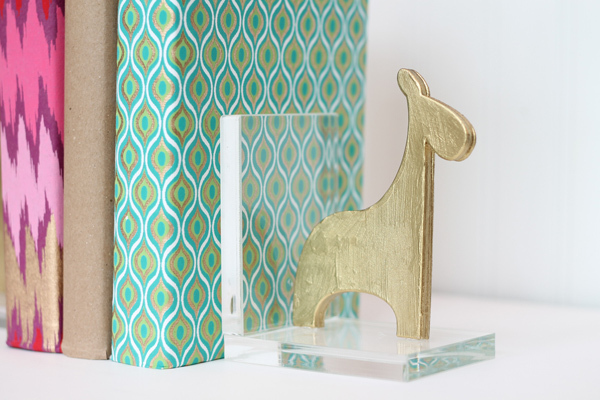 Create a second set using giraffe or zebra figurines for a safari-inspired collection. There’s no better feeling than getting a luxe feel for a steal in DIY fashion. 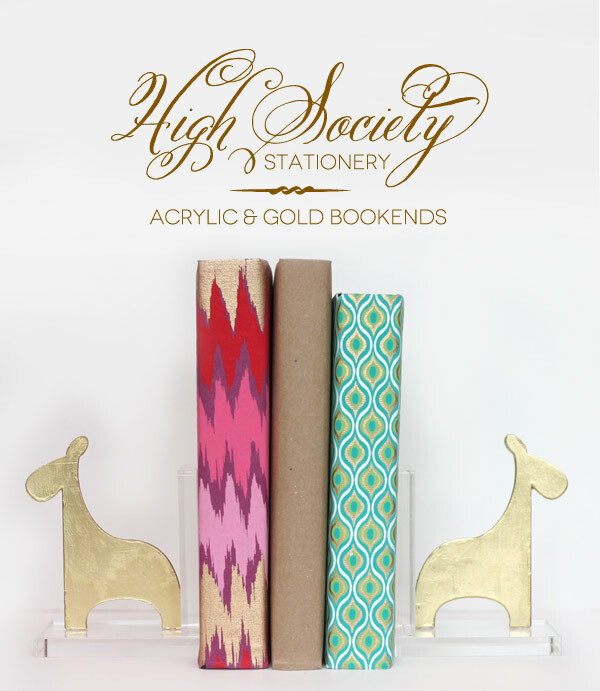 When Amber of Damask Love spotted a rabbit-shaped bookend priced at $400 dollars, she created her own golden look for less- with stunning results. 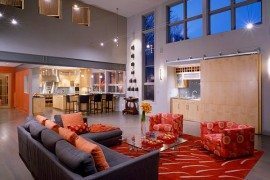 Since the design is simple in shape, use a high impact color to add some drama. 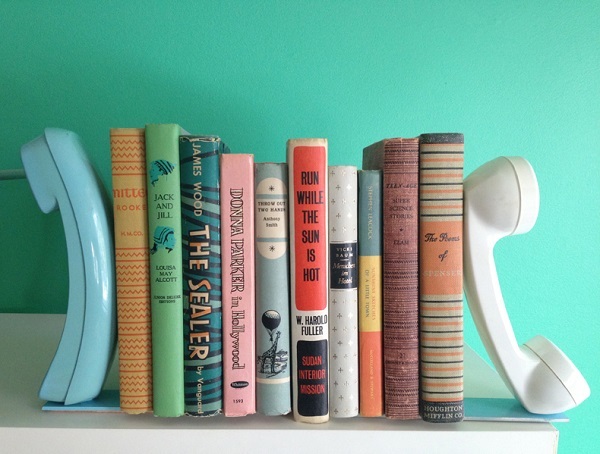 Pull your vintage favorites out from storage and incorporate them into your next DIY. 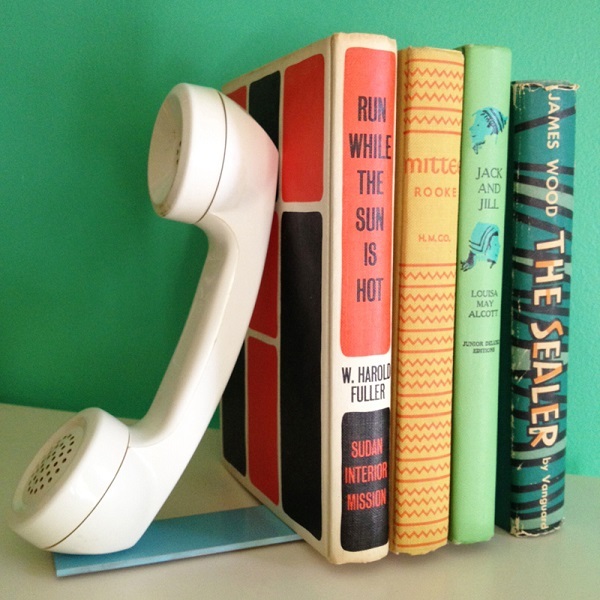 Elsie of A Beautiful Mess had the right idea with these retro phone bookends. If you’re not in love with the color of your pieces, spray paint will transform them easily. Vintage cameras would also make a great project. This exploration-themed DIY by Suzie of Project: Party Perfect will let your imagination soar. 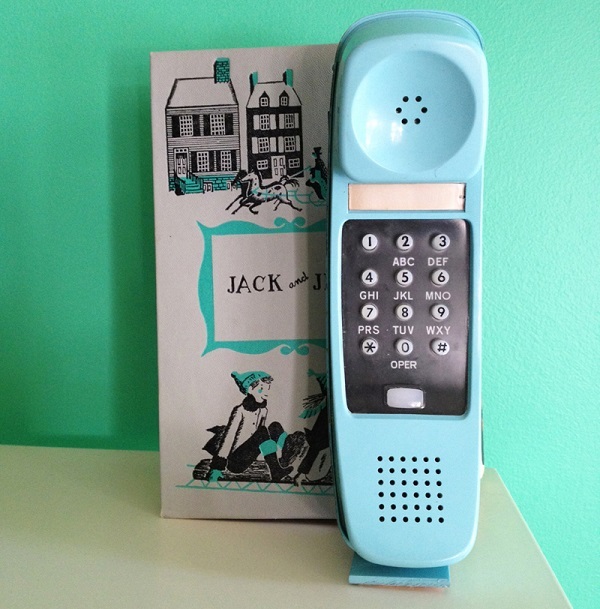 Perfect for a child’s room, this project would also be at home in any travel inspired space. If you wanted to make more than one set, consider incorporating each of the planets for decor that is out of this world. See the tutorial here. 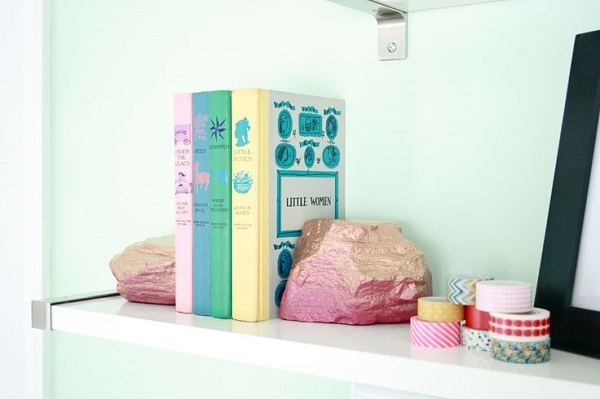 Draw inspiration from your childhood with this bean bag bookend from HGTV. 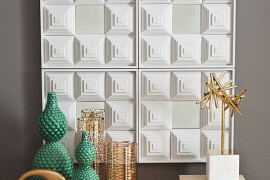 The simple structure means you can make several for decor flexibility. Choose a fabric that offers a little stiffness, like canvas, so it will stand up. 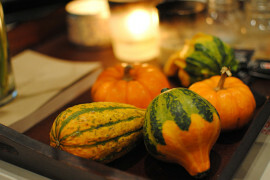 Inspiration can come from the unlikeliest places- including your backyard. 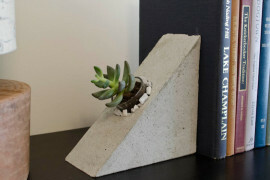 If you’re looking for a DIY that’s a little different, try these rock bookends by Carrie of Dream Green DIY. Metallic paint adds a touch of sophistication to this nature-inspired project. If you prefer a less polished look, leave bare. 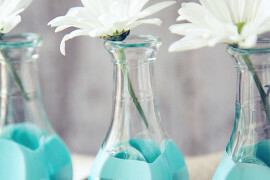 This DIY by Sarah and Jessica of Pretty Providence take recycling to a whole new level. 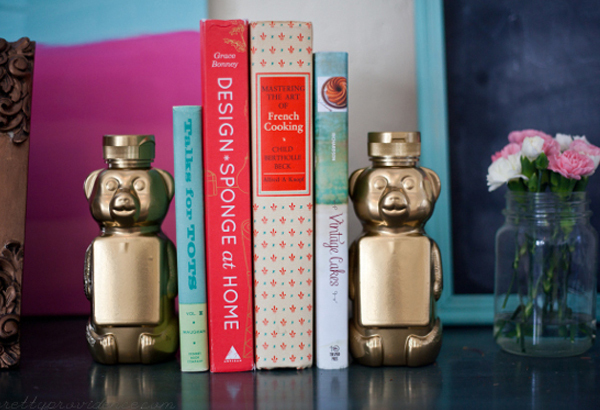 Empty honey bottles get the royal treatment when coated in gold paint, becoming charming, one of a kind bookends. 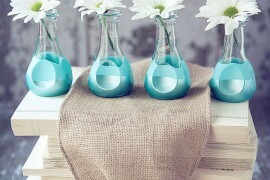 Fill the bottles with rocks or sand so they’ll support your books. 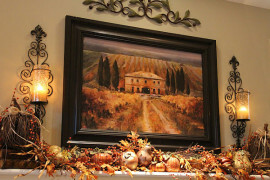 For a unified decor theme add accents around the space in the same color. The effect will be subtle. 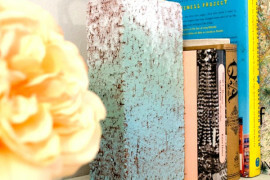 With many creative bookend DIYs out there to stir up inspiration, you’ll be sure to display your books in style. 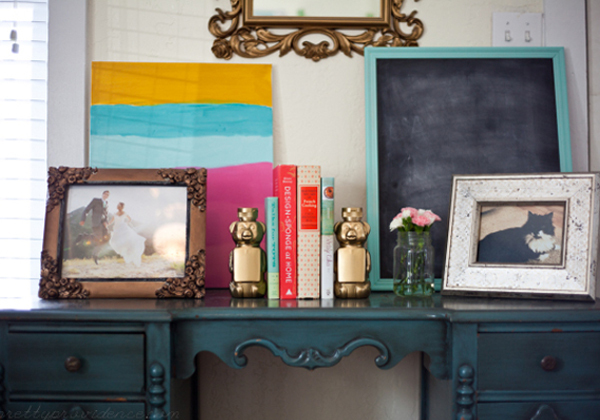 Whether simple or intricate, muted or bold, bookends allow you to add personality to your home in a function way. 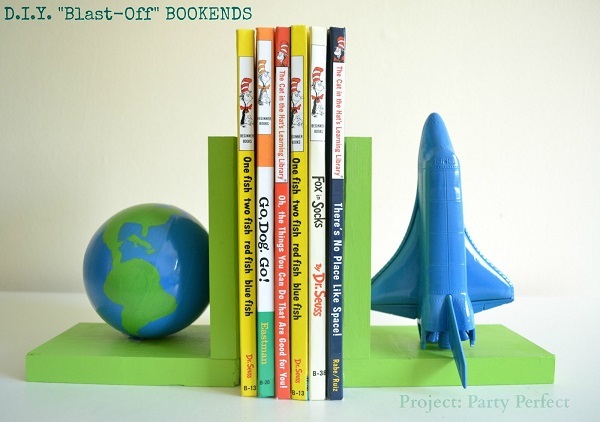 Have you ever DIYed your own bookends? Tell us about your project in a comment below.